Yes, the company behind your favorite rain boots. 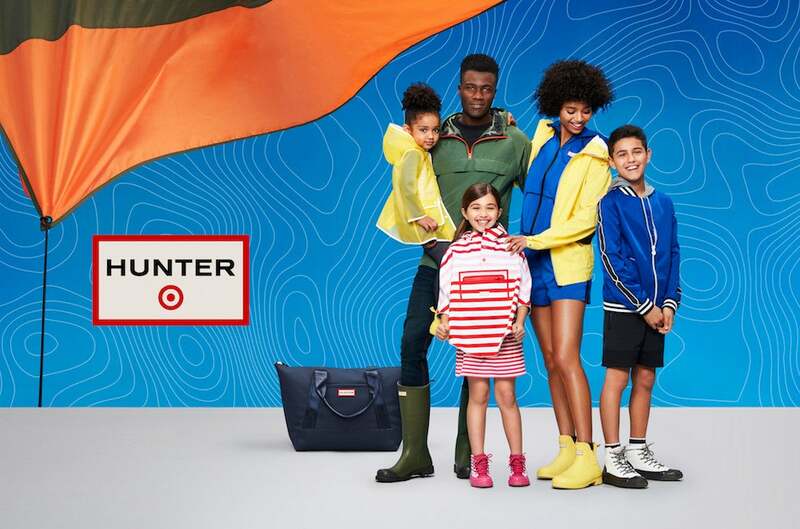 Here’s a collab we never saw coming: Yesterday, Target announced a limited edition line with Hunter—yes, that of your favorite rain boots. Starting April 14, 2018, you will be able to purchase items from the exclusive Target x Hunter line, which will span everything from accessories and apparel to home decor and outdoor accessories. The collection will span 300 items (yes, you read that right), with most items being under the $30 mark—so you’ll be able to easily upgrade your home on a budget. A lot of the items in the collection will actually mark the first time Hunter has produced these kinds of products, such as hammocks, sunshades, and even coolers. But of course, a redesigned version of the iconic rain boot will also be available—just at a new, lower price. To make this collection even more special, Target’s decided to reward loyal shoppers by providing Target REDcard holders with early access to exclusive colors and styles on Target.com that won’t be available to regular shoppers, starting a week before the official launch, on April 7. The first of its kind, the collab will also be celebrated in Los Angeles with an exclusive festival in late March, featuring musical performances and family-friendly activities. This will be open to the public, and also the first time customers will be able to shop the collection. While we wish we had more information about the types of products offered and how to buy tickets to the festival, Target promises to release more information in the upcoming weeks. In the meantime, check out some of Target’s other cool collabs: Yes Way Rosé and Hearth & Hand With Magnolia are two of our all-time favorites.